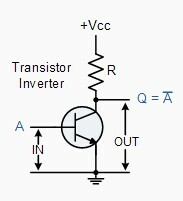 Logic "Not Gate" or Digital Inverter is circuit which inverts the input. If the input signal is true (1 or high) the output is false (0 or low). 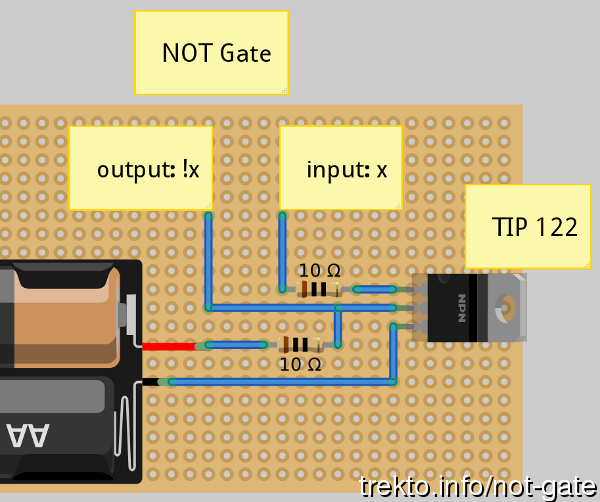 If the input is false (0 or low) the output is true (1 or high). Not gate has a vast number of applications. 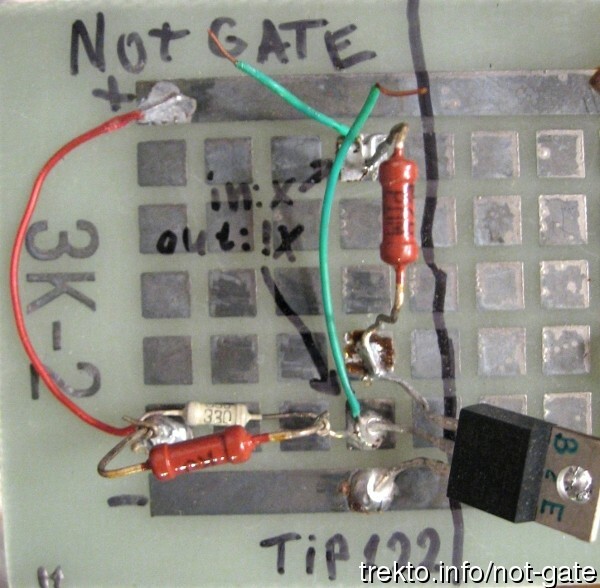 In my implementation I use TIP122 NPN transistor and 10Ω resistor but they can be replaced with other appropriate parts.